Just need some advice on workflow for shoot. What I am curious about now is that I finished up doing 3 scans so my query is... can MP join my scans in post production? 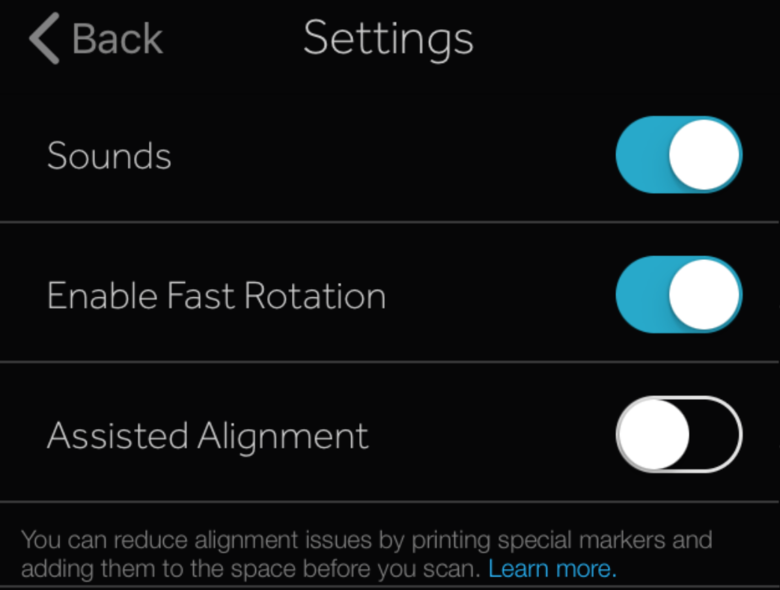 Also go into capture app settings and and toggle on the Assisted Alignment button. What a traumatic experience shooting uniform open spaces with the MPProCam2. 2 days work 250 scans over 11 units to create 3 models and only 94 shots that have held a consistent alignment. I feel so defeated and questioning the investment. We following the suggested best practises using special abstract additions to create alignment anchors and then introduced April Markers but we keep running into alignment or no scan result. Surely we are not the first to suffer this trauma in a shoot of multiple internal/external empty warehouse space joined together in a continuous scan to create 1 master model. Any advice to help win back my confidence and get this job over the line? @click360tours I found to first run along all the outer walls and also keep the camera about 20 inches away from the wall. Then just start in one corner of the room and zig-zag back on forth. I had the same problem with a 24 000 sqft villa that had white marble floors, white walls, and no furniture. I ended up spending 12 hours onsite, inventing new curse words. The camera had about 170 alignment errors with the scan, sensors errors, Warming up for no reason, switched between fast and slow capture. Was not my first big rodeo. But I nearly bashed the camera to pieces against the wall. This started happening with the last two software updates I have noticed. But on Wednesday I did a 7000 sqft villa for free, 3 floors, 6 bedrooms in 3 hours. And did it properly no holes in floorplan or dollhouse. But this villa was also empty and only had 7 alignment errors. So I think the gremlins inside the capture was sleeping. All I can say is to have patience. It just puts me in a bad position when you have three shoots on a day and you have to cancel two because all of a sudden the capture app just throws the scan randomly inside the model when you are on your last 20 scans for the property or just does not want to align, 2 hours later and a week for support to fix the model. Good luck, I knew you are new at this but you will get your flow and it will become easier, and you have the support of the forum, without the communities help and advice I would have never been able to succeed with Matterport. Because this is not an aim and shoot camera or a monkey pushing a button simple. 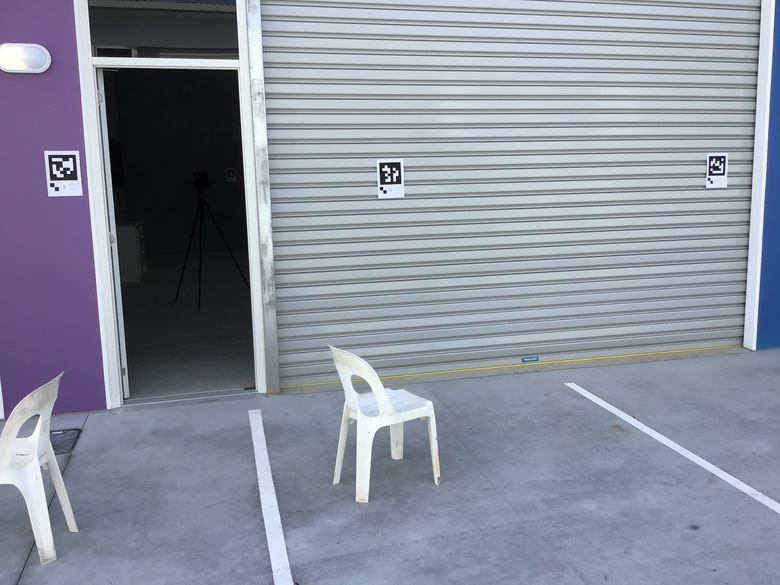 Why aren't you using photos and photogrammetry? Here's a large space shot in low light conditions with a Ricoh Theta V (camera). You won't have those pesky alignment issues. You can take photos much further apart. Most software allows you to add your own custom branding - http://www.cupix.com/features/studio-pack.html. While it was not necessary here, target markers are also useful. Matterport would call them APRIL Tags based on U Michigan robotics lab research (https://april.eecs.umich.edu/software/apriltag/). Here's target markers for Cupix that serve the same purpose. http://support.cupix.com/support/solutions/articles/27000049249-tabloid-size-marker-sheet-download. 25,000 - 50,000 sqft. can be captured in about 1 hour and a tour available the same day - https://forum.we-get-around.com/topic/6816/page/1/cupix-versus-matterport-in-aec-space/. Someone needs to rent a BLK 360... unless they want to use Cupix. In the case of Cupix, a Theta V works - but I imagine that an Insta360 Pro for videogrammetry might work too. Thanks for the contributions it's one of the reasons we jumped into this sector due to the willingness of others to help and share experiences. Please remember, we are not photographers and this is our 3rd ever shoot in 2 weeks of receiving MP Pro CAM 2. We are learning as we go and most jargon we are not use to or have a clue how to interpret - we dont know what we dont know! 1 x Master Doll House for the 3 detached facilities comprising 28 individual empty light industrial units. 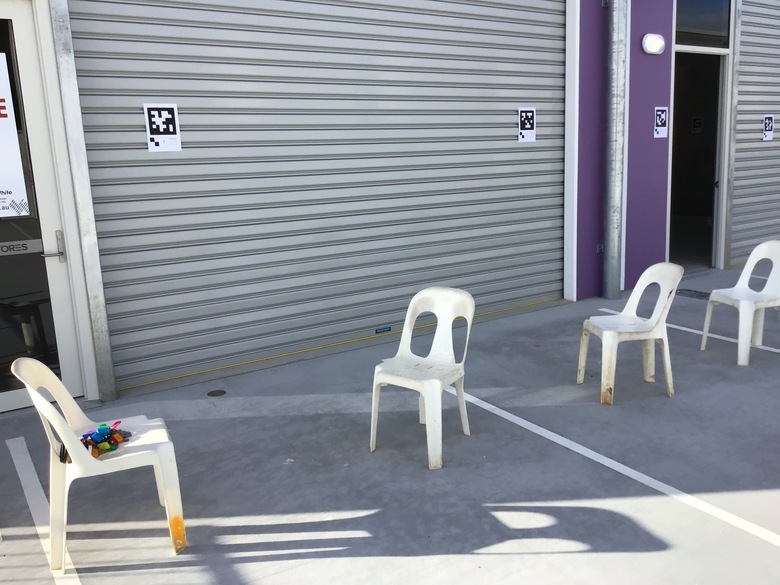 Our logic for shoot was start at Unit 18 being caretakers (see plan in my first thread) unit at front entrance. Start shoot internally in 3D then move externally in 3D and move to next unit so we could create a continuous model. 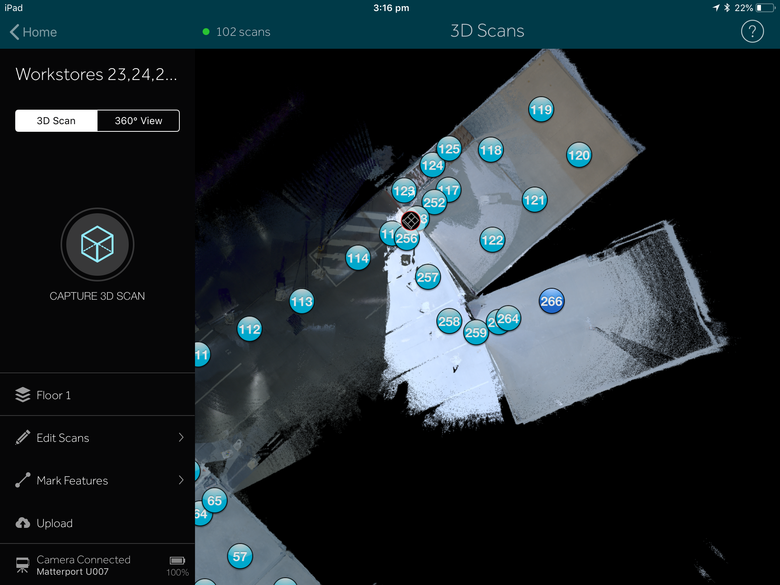 What we are experiencing is alignment and low overlap issues despite shortening scans, introducing 3d objects and April Markers. It can take up to 10scans in several positions before we get a scan to work. This is causing immense frustration and time on site is days rather than the allowance of 30 minutes per unit. Dee from MP has confirmed without guarantee that we could do 28 models and MP will attempt to stitch scans into 1 model... that is a relief if it can be done. Advice re other technologies is not something that makes sence after outlaying nearly $10k in bits n bobs using MP as the key tech, we want this to do what we believed it could do. What I am interested to learn, is how others go about preparing for a shoot like this and what recommendations can be offered on how to achieve the outcome we are striving for? #1) As far as Dee goes. She's amazing. Please do not take the willingness for granted or count on that always being around. #2) We have a BLK 360 at our disposal. 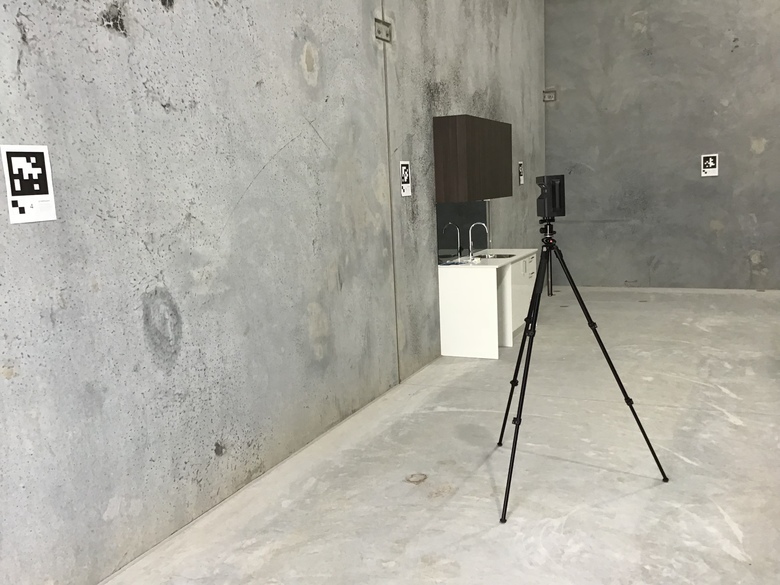 The BLK 360 can capture outside spaces. We would never tackle this project without using it. Yes I gathered Dee is very special and she has been super responsive and willing which we are grateful for during this startup phase of our journey. I am a little lost with suggestions for external 360 equipment when our primary goal is internal 3D and our understanding is that the only way we can achieve our goal of 1 master dollhouse is to shoot external in 3D also?. I am confident we can shoot 360 from MPCam later to join the detached facilities and enable a walk from unit to unit. The issue is over coming Misalignment & Overlap Errors that is adding endless hours to a shoot. I know we can't be the first and apart from the April markers, adding special objects and shooting close to wall, we are hoping to draw on some real life wisdom that will help many of us new to this succeed? Thanks again to WGAN members and MP support, we are forever grateful and excited about the prospects in this space for all of us. Ok so what I discovered that caused days of frustration with continuous alignment and overlap errors was due to fast capture setting being activated in settings. once turned off I completed 6000 square meters in 8 hours. I don't recommend using fast capture. This was our first ever 3D Scan straight out of the box that we did for FREE to earn our stripes and that we did! Massive issues with leveling, low overlap, alignment issues (we had fast scan accidentally set in the firmware that caused major issues), blurry images from ball joint tripod mount not being secure... you name it we faced it. Dee Johnson (is this just 1 superhero or an alias for several MP support avengers) she helped stitch 7 separate models into 1 and did an outstanding job for us that we are forever grateful for!!! Chris from @metroplex360 has been an amazing support post edit performing major fix's on the Google Street View cleanup and providing tonnes of advice on where we can improve!!! The client is 50/50 because we scanned a lot at night to overcome the daylight infrared sensitivity issues moving from shed to shed requiring scans outside a lot. I think it ads contrast but only the clients desire matter right??? Thanks again to all those that offered support to us as Newbies, we are grateful for all those that take time out of there busy days to contribute. All champions started as beginners at one point!